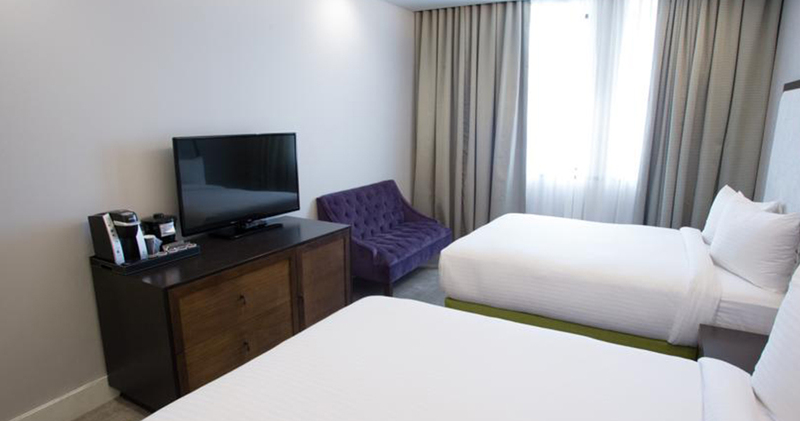 Leon Hotel is a stylish hotel with an elegant ambience and comfortable, spacious rooms. 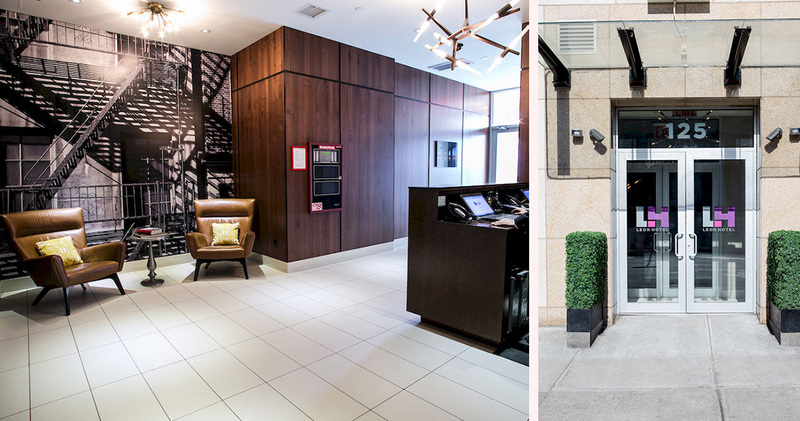 Located in New York’s bustling Chinatown, Leon Hotel provides easy access to Soho, NoHo and the Lower East Side. The hotel has been designed for new world travelers, offering its guests the ideal fusion of style and comfort. 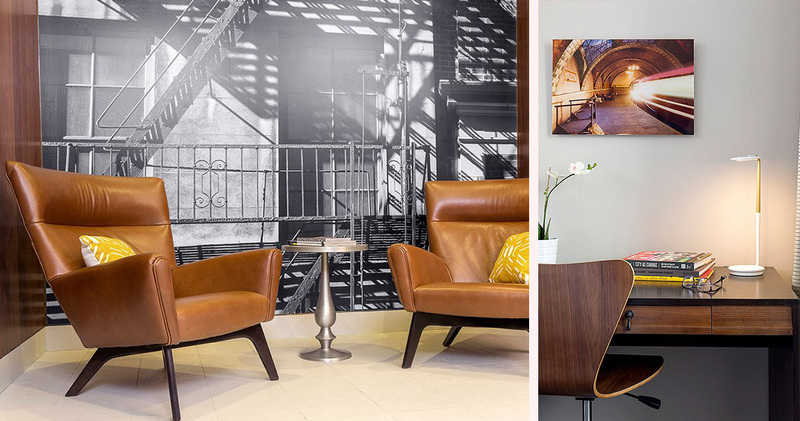 Providing guests with a true, New York City experience, the contemporary lobby area features handcrafted leather furniture and wall-sized photographs that pay homage to the city and its rich and vibrant culture. 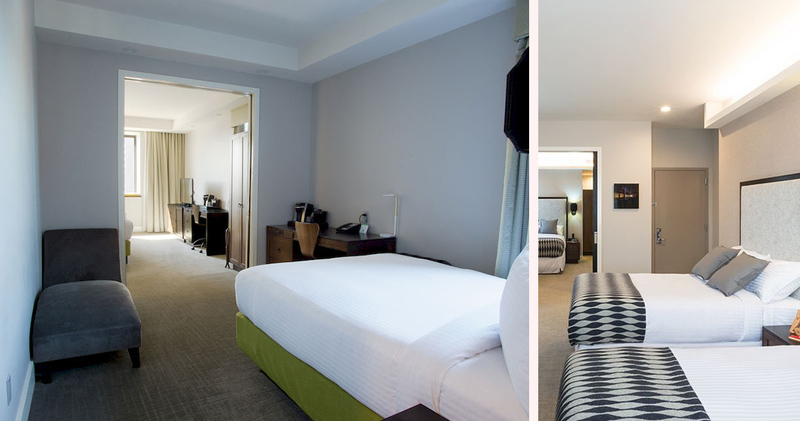 The Leon Hotel has 40 well-appointed and spacious guestrooms with calming, neutral colors, clean lines and attractive décor. 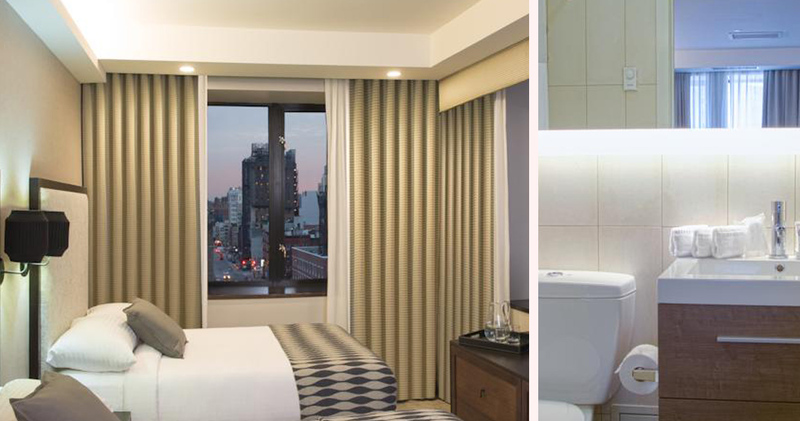 Bathed in natural light, the rooms feature sizeable windows that offer views of either the Lower East Side, Freedom Tower or Manhattan Bridge. All guestrooms are decorated with handmade furnishings that include a sleek desk and modern chair, and the roomy window seat is the perfect place to sit and enjoy the views. 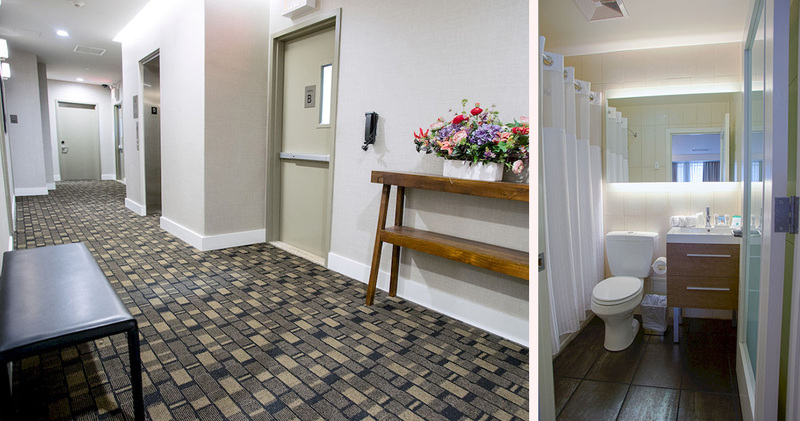 Each room includes plush towels and linens, along with practical electronics such as an iPhone Docking Station and an iHome alarm clock. 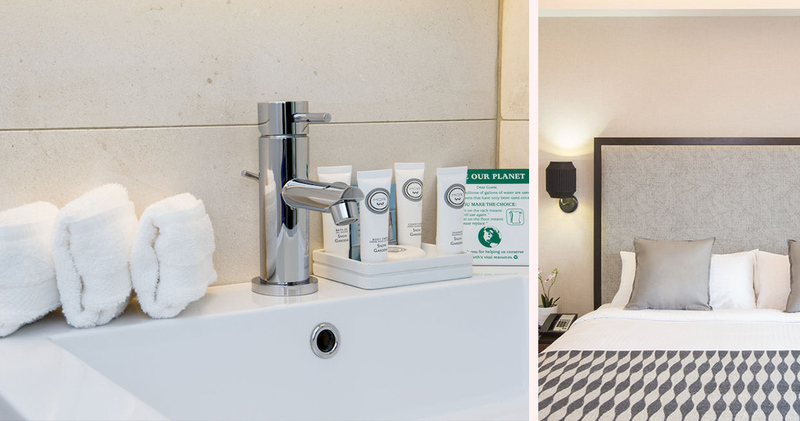 The rooms at Leon Hotel also include a Keurig coffee machine, and vibrant photographs of the city, and the bathrooms are sleek and modern with deluxe, MOR bath amenities. The Loft Suite is the largest space, equipped with two full sized beds, a queen bed and two bathrooms with pocket doors for privacy. Leon Hotel’s Chinatown location offers guests a number of excellent dining choices like the trendy Fat Radish cafe with its innovative British dishes. For seafood and traditional dim sums, head to the Ping’s. The hip Freemans offers craft cocktails and American fare. With its spectacular high rises and fast pace, the Financial District is perhaps the most recognizable neighborhood of New York City. The Financial District is known for being home to iconic attractions like Wall Street, One World Trade Center and the 9/11 Memorial. 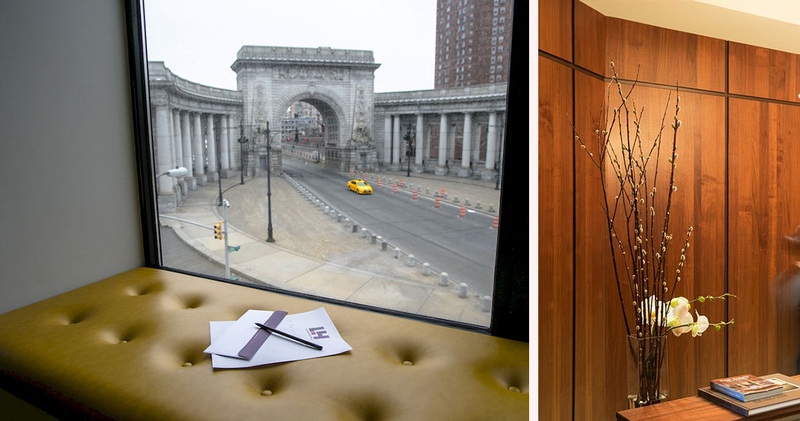 Visitors will also find that the neighborhood is home to world-class dining, entertainment and cultural institutions. The Financial District offers easy access to museums and attractions such as the Skyscraper Museum, Museum of Jewish Heritage, Battery Park and Trinity Church. Stone Street, named so because of the cobblestone paving, has a thriving dining scene with restaurants like Harry's Cafe and Steak.